This is a weathervane that according to legend came off the old county courthouse in Franklinton. If so that makes it the last surviving part of the building. 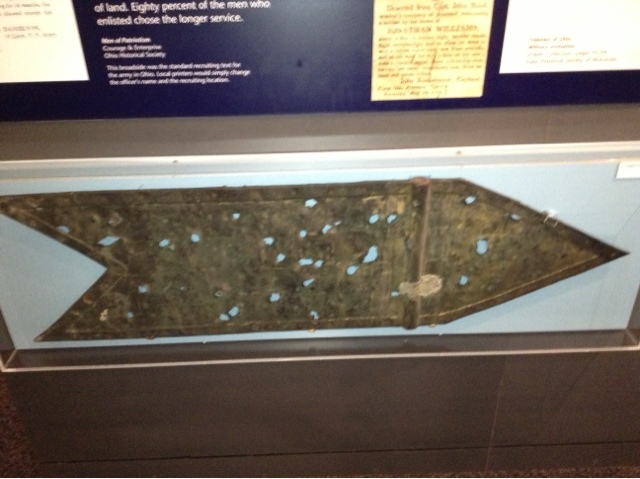 Ironically it was saved because it was heavily damaged by soldiers using the vane as a target for their muskets. 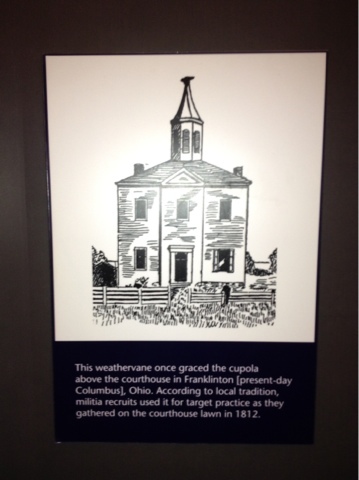 Today it can be seen at Fort Meigs State Historic Site in Perrysburg Ohio.